The manufacturing process of PET bottles and containers requires the use of compressed air, produced by a high pressure compressor powered by electricity. 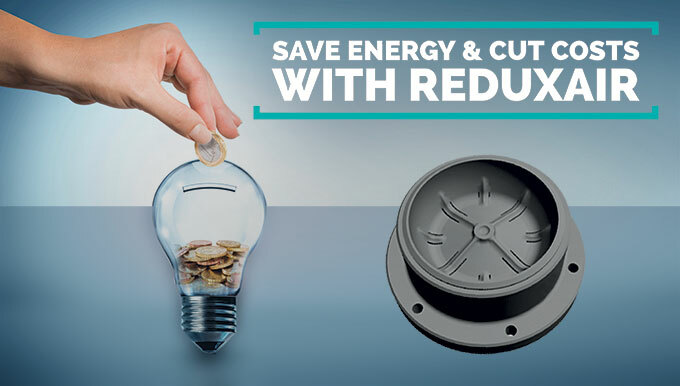 Thanks to the innovative "ReduxAir" system developed by SMI, since now on stretch-blow moulding operations can be carried out at lower pressures (15-20 bars*) than those usually used (35-40 bars), thus benefitting from a more efficient solution that significantly cuts energy costs. 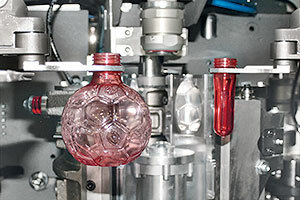 * Depending on the features of preforms, bottles and stretch-blow moulding process conditions. ReduxAir is a special mould bottom that, thanks to advanced technical and designing characteristics, allows to manufacture PET bottles using a lower compressed air pressure (15-20 bars) during stretch-blow moulding operations. ReduxAir system allows a much faster release of the air flowing between the outer walls of the bottle and the surface of the mould. Where can ReduxAir be applied? 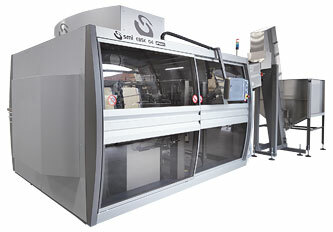 - It is applicable to the whole range of SMI's electronic stretch-blow moulders of the EBS and EBS K series. - It is suitable to produce PET containers up to 2 L.
What are the advantages of ReduxAir? - Lower power consumption by the compressor. 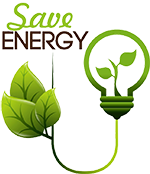 - Energy saving and cost cutting. To get further information on ReduxAir, please contact SMI sales department or visit our website.